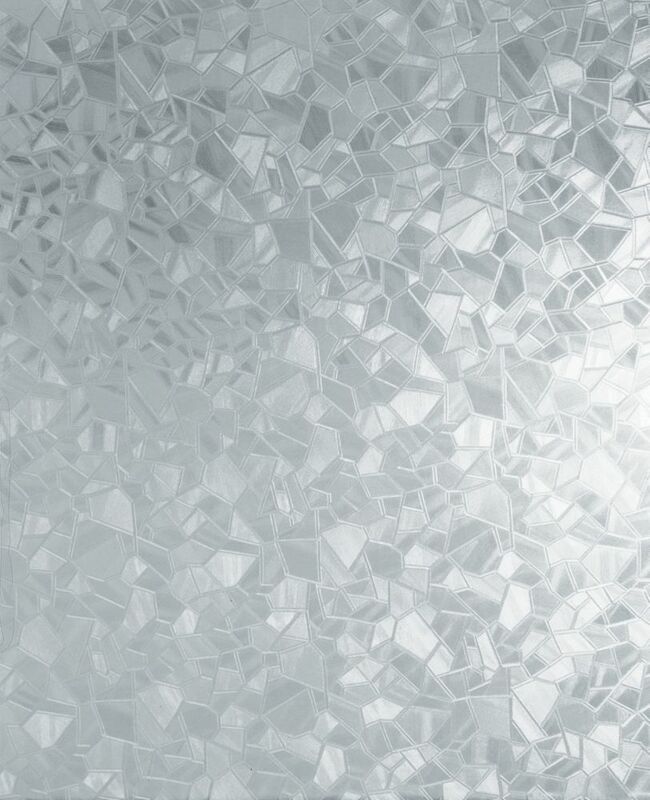 346-0166 Home Décor Self Adhesive Window Film 17-inch x 78-inch Splinter - 2 Pack Frosted splinter mosaic pattern self-adhesive window film. Splinter looks like broken pieces of glass put together to make a uniform pattern. It offers privacy while still allowing light through. D-C-Fix self-adhesive window films are designed to provide privacy and decoration. Our collection of plain frosted, floral, leaf and stained glass designs help provide privacy in areas which may be overlooked, but still allow in the light. In areas where a traditional window dressing can't be used such as small or odd shaped windows, D-C-Fix self-adhesive window films offer a practical solution. A great alternative to blinds or curtains, D-C-Fix window films provide a clean, modern look to any home or work environment. To achieve a custom made look for your windows, cut shapes from the film and make your own window stickers. D-C-Fix window films are quick and easy to apply and can be used on any clean flat window or glass surface. 346-0166 Home Décor Self Adhesive Window Film 17-inch x 78-inch Splinter - 2 Pack is rated 4.8 out of 5 by 4. Rated 5 out of 5 by Lizardo from I wanted a pattern that would let in light, but... I wanted a pattern that would let in light, but provide great privacy in the shower. I also needed a pattern that would not distract from or compete with the rest of the decor. This turned out to be perfect! I'm so happy with it! Rated 4 out of 5 by CLW from I thought it was more opaque than it actually was.... I thought it was more opaque than it actually was.